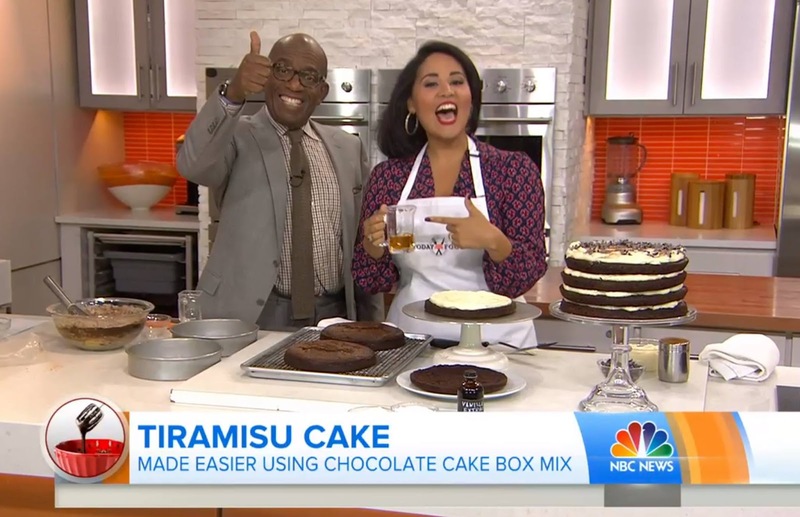 I was super excited to participate in two cooking segments on my latest visit to the TODAY Show. We were talking about box mix hacks all day, starting with a box mix and turning it into total showstopper desserts like my Chocolate Tiramisu Cake (with rum and a homemade mascarpone frosting!) and an Upside-Down Cornbread Peach Cake. I had so much fun with Al Roker and the whole team; this was probably my most favorite segment yet! Click below to watch the video!